When your looking to get Cash For Gold? It's important to choose the right buyer to Sell your Gold to to. In this blog we will show you a guide on how to get cash for gold near you, and why you should sell with us. When your thinking of selling your unwanted gold there is definatley plenty of options available and it's important to choose the right one for you. The Karat of gold: Is it 9ct,18ct 22ct ect most jewellery has a hallmark that tells you what karat your gold is. We have detailed below what hallmarks to look for. Know the weight- To receive a quote for your gold you will need to try and find out the weight in grms you can use simple kitchen scales just to get an idea of the weight in grms, this won't be 100% accurate but it will allow you to receive an estiamte. Are there any gemstones or diamonds in the gold ? If so you should normally receive a price for the gemstones if they are precious and for the diamonds as well as the gold. Age: When the jewellery was originally bought. Jewellery over 20 years old can be considered vintage (as long as it was not mass produced), and over 100 years old it is considered antique. Wear: If the jewellery shows any signs of wear such as scratches or missing diamonds this can detract from the value and if it's plain gold that's broken ect it's classed as scrap gold. 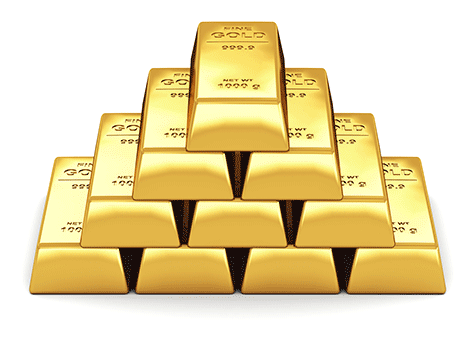 How to find out what Karat your gold is? 9 carat gold usually consists of one of the following hallmarks, 375 would be the purity mark sometimes this can be stamped just 9ct or 9k depending on the country of origin. 10 carat gold usually consists of one of the following hallmarks, 417 would be the purity mark but can also be stamped just 10k. 14 carat gold usually consists of the following hallmark, 585 would be the purity mark but can also be stamped 14kt or just 14k depending on the country of origin. 15 carat gold is pretty rare and seldom seen much these days but if you should come across some it would usually be hallmarked, 625 for its purity or more common is to see just 15 or 15k stamped into pieces of jewellery. 18 carat gold consists of the following hallmark, 750 would be its purity mark but often can be stamped just 18k, 18 or 18kt depending on the country of origin. 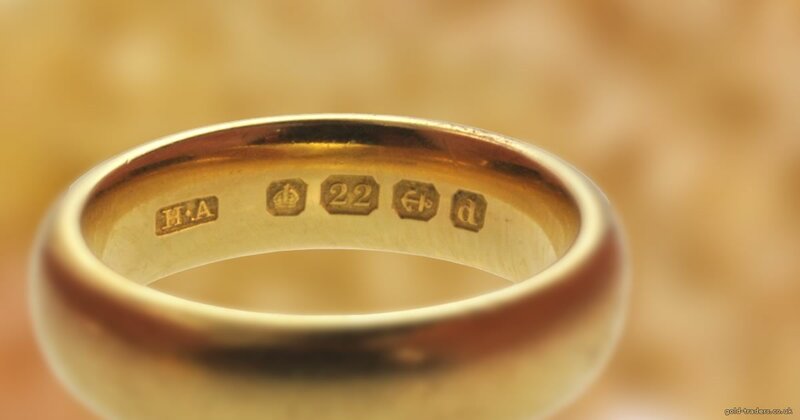 22 carat gold is generally quite rare in the UK but very popular in far eastern countries, its quite common not to find hallmarks on some pieces of 22 carat jewellery but when you do it would usually be stamped just 916 (22) or 22ct. 24 carat gold is seldom used for jewellery production here in the UK but occasionally does get used in far eastern countries, 24 carat gold is usually reserved for Bullion Bars and Gold coin production. The hallmark is 990, 999 or even 999.9 in very high purity. Paperwork - Try to find any paperwork you have to go with the gold jewellery as this will help you accurately assess the characteristics of your jewellery while proving their authenticity to potential buyers. However if you don't have any paperwrok you can still sell your jewellery. You can either simply fill in our online enquiry form below to receive your quote or send your jewellery to us by requesting a pre-paid pack which covers insurance so we can give you an expert evaluation and a final price offer. Or you can take your jewellery to a local jeweller to get a rough idea of these characteristics (you do not need a written appraisal). Sometimes they don't employ jewellery appraisal experts who can accurately evaluate and price your gold. Auctions are not held that frequently so the process can take a bit of time around a few months. Your gold jewelery isn't guarenteed to sell. To receive an honest and uptodate price for your unwanted gold, it is important to work with a reputable and expert gold buyers, such as Buymyjewellery.com. The gold fix price changes twice daily and we adjust our prices accordingly to ensure we offer our clients the most uptodate and best price possible. To receive a quote from us just fill in the online form at the bottom of this page. Selling your gold to Buymyjewellery.com is a completely free and a safe process. Our team of expert appraisers and jewellery specialists are on hand to value your gold jewellery and watches and will provide a price based on the current second-hand market. As an established gold buyer in the UK we have clients all over the UK and Ireland so you can sell your unwanted gold from the comfort of your own home. We are able to leverage our industry connections to offer you the most competitive prices for your gold. Our secure and professional service has earned lots of happy customers read our most recent reviews from satisfied customers here. If you are happy quote, you can request a pre-paid pack which conver insurance so you can send your gold in to us for valuation and so we can make you our final offer. Once you receive your final offer and if your happy we can arrange your bank transfer ( Most bank transfers can take 1-2 working days). If you do not wish to accept our offer we return your jewellery free of charge via fully insured and tracked royal mail. What are you waiting for recieve a quote from a member of our appraisal team by filling the enquiry form below . Please provide us with as much detail about the pieces you would like to sell please state the Crt of the gold, and the gold weight if you know it also the condition , and if you have any paperwork that goes with the jewellery as in receipts or valuations please upload a copy, also you can upload some photos of your jewellery below. Do you have a photo of the item please upload up to 5 images if you have pictures if not don’t worry just describe your items and we will give you a call. If you would prefer just to send your items to us for appraisal just request a prepaid envelope by clicking on this option below and fill in your details above we will let you know as soon as they arrive, and you will receive a quote from our valuers. Please provide the full address for us to send your prepaid pack to.